Evergreen trees and shrubs retain their foliage and remain green year round. However, not all evergreens are the same. By distinguishing common evergreen tree varieties, it will be easier to find one that fits your particular landscape needs. Most evergreen trees are needle bearing while evergreen shrubs also include broadleaf varieties. In addition, their growing characteristics vary greatly among species. Therefore, it’s important to recognize the differences between them before adding these plants to the landscape. 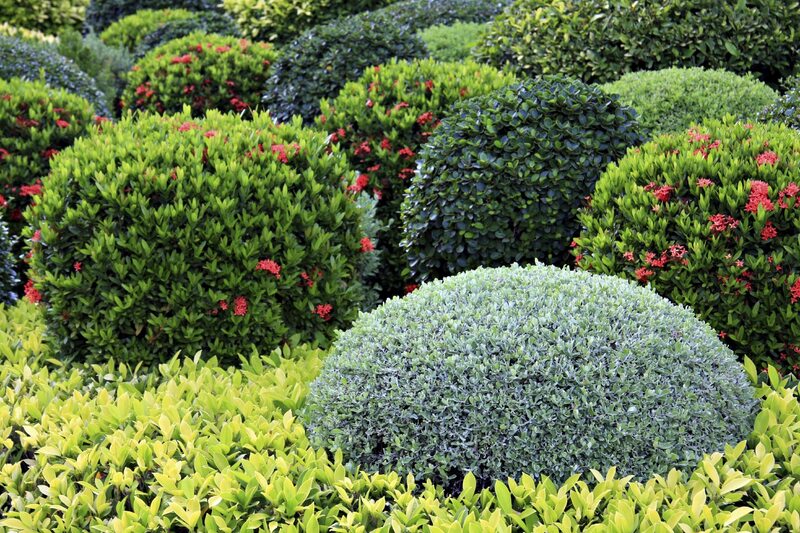 Needled evergreen trees make great additions to the landscape, especially when scattered amongst other plantings. They have an extraordinary range of shapes and sizes and are well adapted to many soil types and growing conditions. That said, some evergreen tree varieties thrive better in certain locations and temperatures than others. The most preferred use of these trees is for ornamental purposes. However, some varieties can offer suitable shade or screening too. Distinguishing the differences between popular evergreen trees will make it easier to find a suitable tree that not only fits your particular landscape needs but also serves its intended purpose. Eastern White Pine (Pinus strobus) – this fast-growing species reaches 80 feet or more. It makes an ideal choice for use as a specimen planting or for screening and shade. Pinyon Pine (P. edulis) – This is one of the slow-growing pines, reaching only 12-15 feet in height. 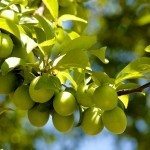 It is a great tree for growing in pots, rock gardens, and shrub borders. Monterey Pine (P. radiata) – this evergreen tree grows quickly and reaches anywhere from 80-100 feet tall without pruning. 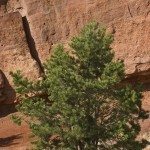 It’s considered a finicky pine and not tolerant of arid conditions or cool temperatures. Allepo or Mediterranean Pine (P. halepensis) – unlike Monterey, this pine tree thrives in poor soils and drought-like conditions. It also tolerates heat and windy conditions. It’s a fast-growing tree between 30-60 feet. Red Pine (P. resinosa) – this tree has interesting reddish-colored bark. The Japanese red (P. densiflora) variety is an excellent slow-growing pine suitable for small areas. Japanese Black Pine (P. thunberglana) – this pine has unusually dark gray to black bark. While it is a fast grower, reaching up to 60 feet, it easily accepts pruning. In fact, it is oftentimes used as a popular bonsai specimen for pots. Scots or Scotch Pine (P. sylvestris) – it may not always be well adapted to landscape settings but is commonly used as a container plant or Christmas tree for its interesting yellow to blue-green foliage color. Norway Spruce (Picea abies) – this tree grows up to 60 feet, has attractive dark green foliage on drooping branches and produces decorative, purplish-red cones. It enjoys cool conditions and makes an excellent choice for windbreaks or specimen plantings on large properties. Colorado Blue Spruce (P. pungens glauca) – blue spruce is another tall grower at 60 feet. This specimen tree is popular for its pyramidal shape and blue-gray foliage color. 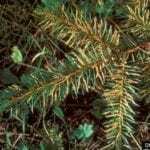 White Spruce (P. glauca) – this is a pale green species of spruce. The dwarf variety (Alberta) is commonly found growing in pots or as border and foundation plantings. It has feathery needles and is available in pyramidal or columnar shapes. White Fir (Abies concolor) – this fir tree has soft, gray-green to silvery blue-green foliage. It makes a lovely contrast with dark-colored evergreens. This species grows between 35-50 feet. Douglas Fir (Pseudotsuga menziesii) – this is an attractive, fast-growing evergreen tree that gets quite large, about 50-80 feet tall. It’s great for use as specimen, screening or group plantings. It also makes an ideal Christmas tree. Fraser Fir (A. fraseri) – the Frazer fir has a narrow pyramidal shape and grows up to 40 feet. It, too, makes an excellent choice for Christmas or placed in the landscape as border specimens or container plants. Other interesting evergreen trees include cedar, thuga, and cypress. Each of these trees offers their own unique qualities too. Cedar (Cedrus spp.) 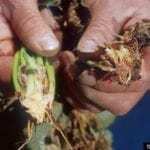 – cedar tree varieties make elegant specimen plantings. Most have clustered needles with small erect cones. They grow anywhere from 30-60 feet with dwarf types available. Thuja – also known as arborvitae, is a commonly seen accent among many landscapes, either as a foundation planting or screening. This evergreen has shiny, scale-like leaves and reaches up to 40 feet. Cypress (Cupressus spp.) – cypress trees have a soft, feathery-like texture and symmetrical shape. They are most often used in creating privacy hedges and borders. Favorites include Arizona (C. arizonica) and Leyland (Cupressocyparis leylandii). Evergreen trees make excellent choices for the landscape. They provide year-round interest, shade and screening. Yet, not all evergreen tree types are the same, so you’ll have to do your homework in order to find just the right one for your landscaping needs.